Saves time sending Christmas cards. Great Wonder of Christmas Life! I'm a birder and love the beauty of it. 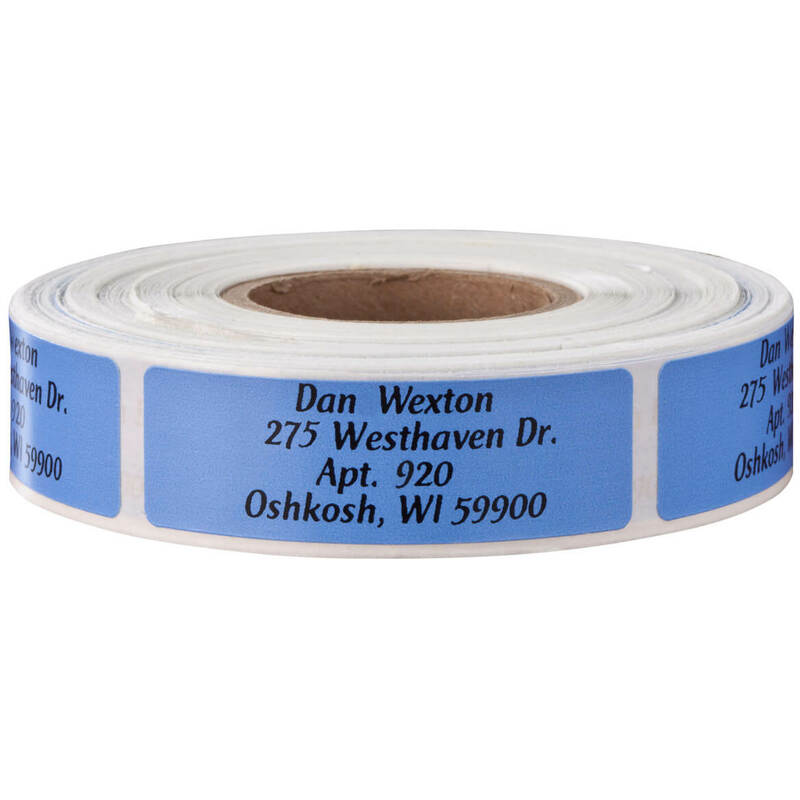 These are great labels and seals for anyone. It brings out the beauty of the season. When I saw these, in your catalog, I thought they would be perfect to use, with my "Holly" themed Christmas cards. They are. I can't wait to write my cards. Would buy this item or one like it over & over again. I love this product. It was done accurately and was delivered very quickly. It saved me a lot of time writing addresses on envelopes. The seals are just a festive added touch to add to my envelopes. I love these, for using all Winter long. I bought some with flowers from Miles Kimball for summer mailing, and these will be nice for Christmas Cards and winter mailing. 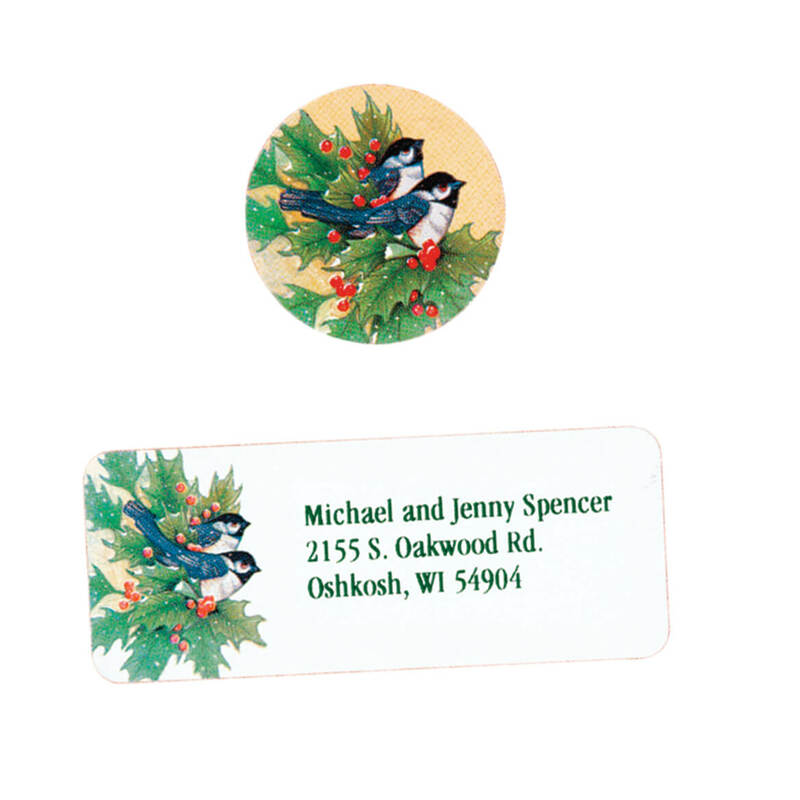 These Chickadee Labels and matching Seals with subtle colors were delivered quickly after I ordered them, and look exactly as pictured/advertised. Very nice address return labels and the seals are a special touch. I only got the labels! I bought labels and was excited that seals came with them. Unfortunately, I didn't get any seals. Not sure if I'd buy again. Was disappointed they weren't in a roll like the other ones I purchased before. Labels and Seals were great. It cost as much to ship as it did to purchase the labels and seals. 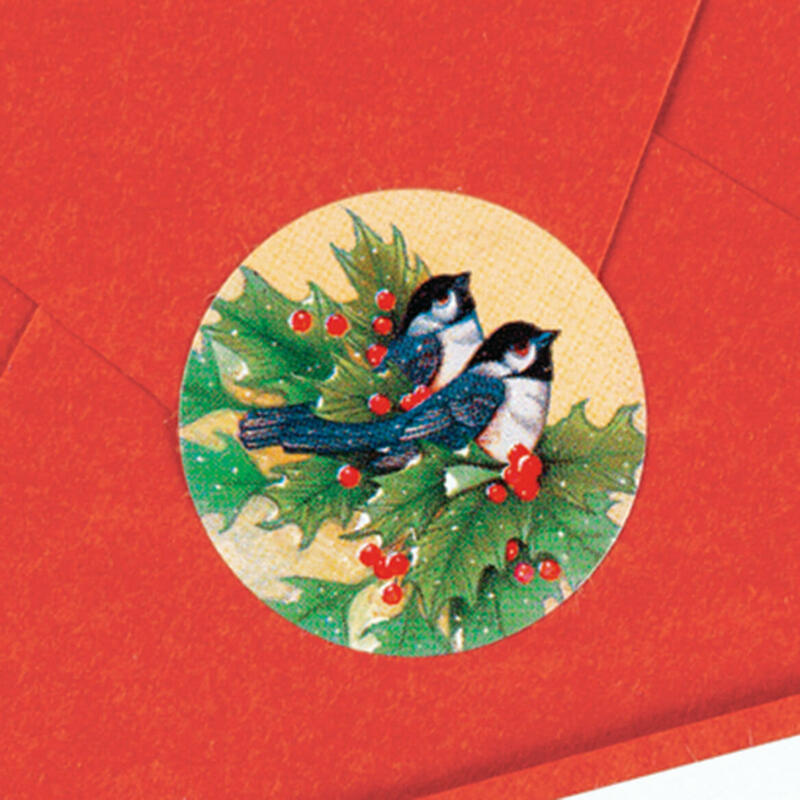 Ease & convenience @ Christmas-card time, plus I love the darling chickadees! Chickadees are one of my favorite birds so I found these cheerful. Had these and loved them. We used them all up. Like the looks and used them all on Christmas cards for two years. Ordered them for my business, now I want them for personal use. Love them. Writing the return addresses on holiday posts can be tedious, these labels simplify the task and and improve the products look. Nice way to present envelop at Christmas time. I like the design very much. It can be used for the Christmas holidays and also all winter. It is very cheery and colorful. love the matching seals! They 'dress-up' my correspondence, Email is efficient- but does not provide the satisfaction of old fashioned written cards and letters. Loved these got for Christmas cards this year! Love the label and seals from Miles Kimball!!! 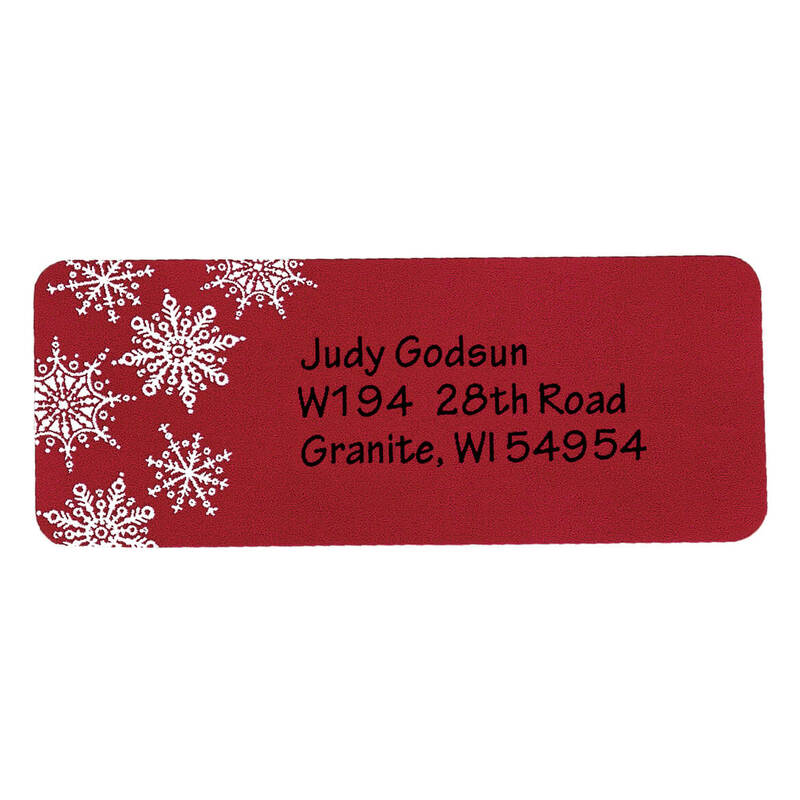 I have ordered these Christmas labels before and was very pleased with them. They can also be used all winter long for other than Christmas cards. There were enough lines (5) to personalize. 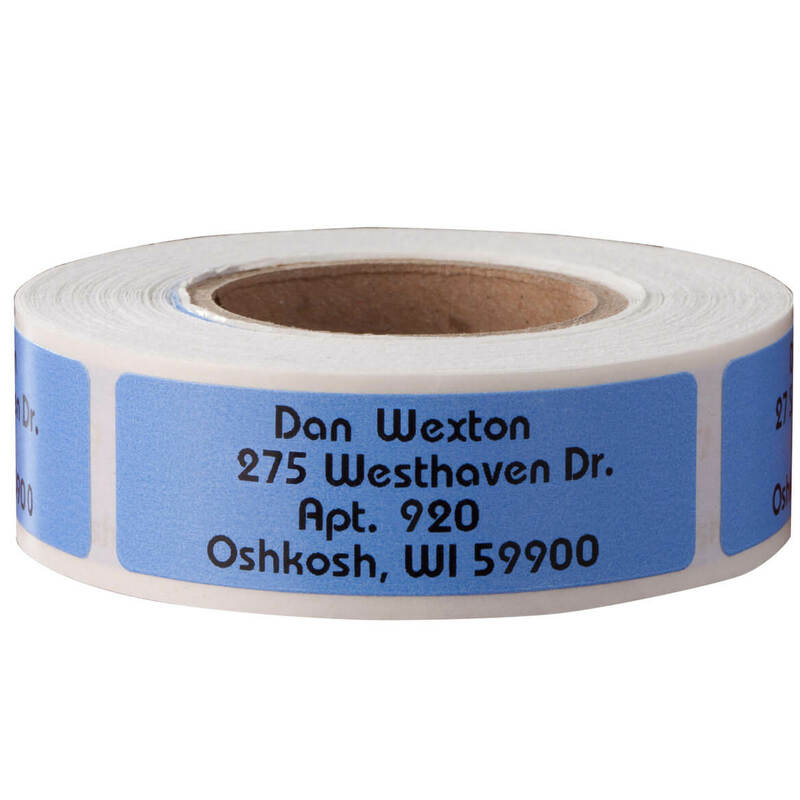 Most of the other address labels only allowed (3) lines. Because they're very colorful, and I wanted something generic that I could also use for bills in the winter time. We are bird enthusiasts and it fits our interests. They are pretty and useful. 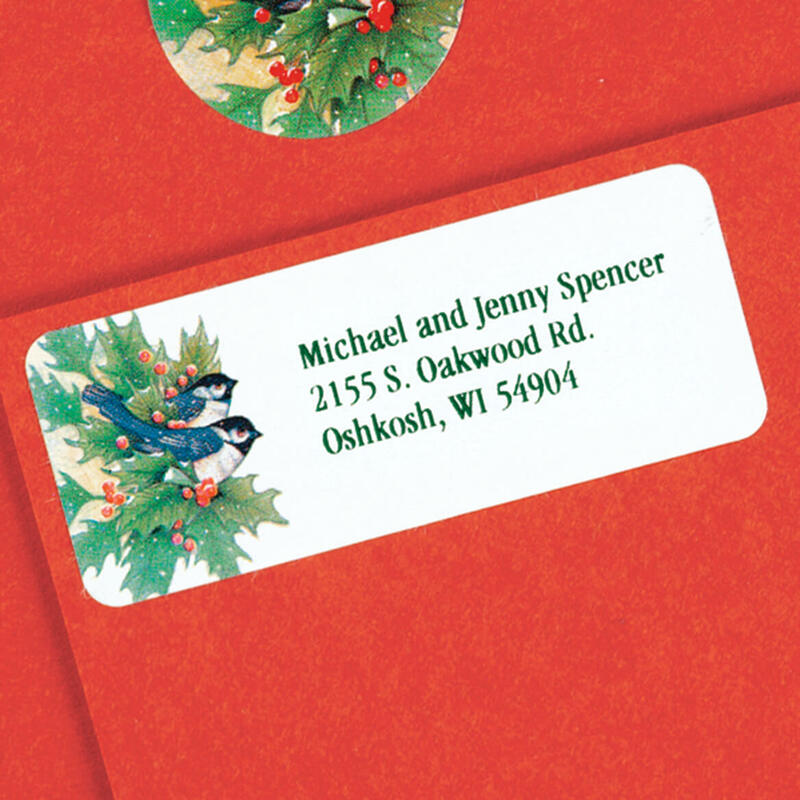 Haven't had return labels for our Christmas cards for several years. Saw this as an excellent opportunity for next years' and beyond. I have always wanted address labels, especially with matching stickers. 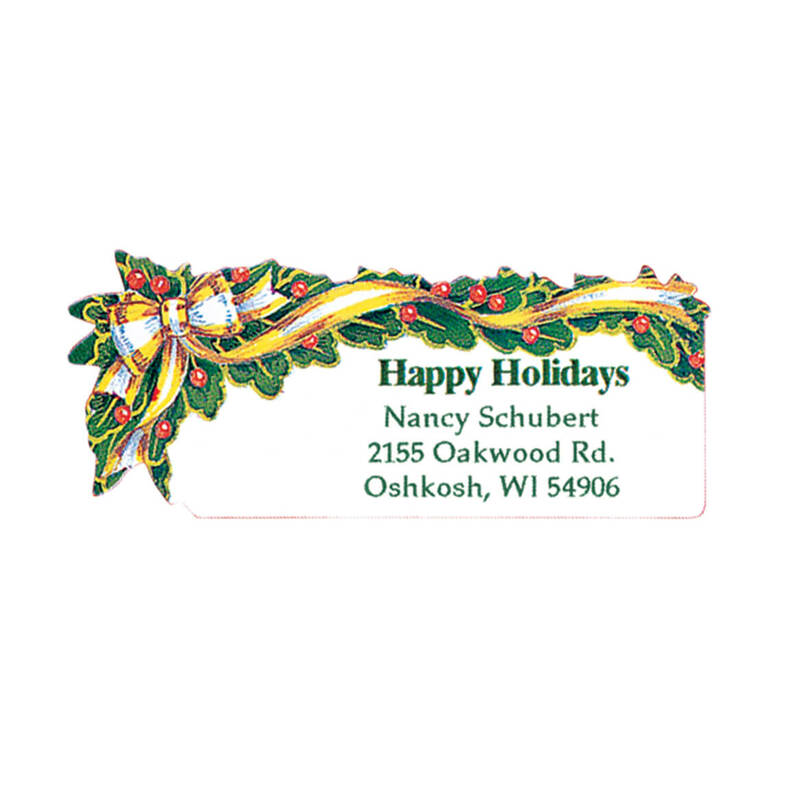 I have used these in the past and love them for my holiday cards. I ran out so I am reordering! I liked them and the price was right. These labels and seals are pretty. they are pretty and easy to use. Because I like Chickadees and love that it is in blue. Could not find anywhere else this nice. 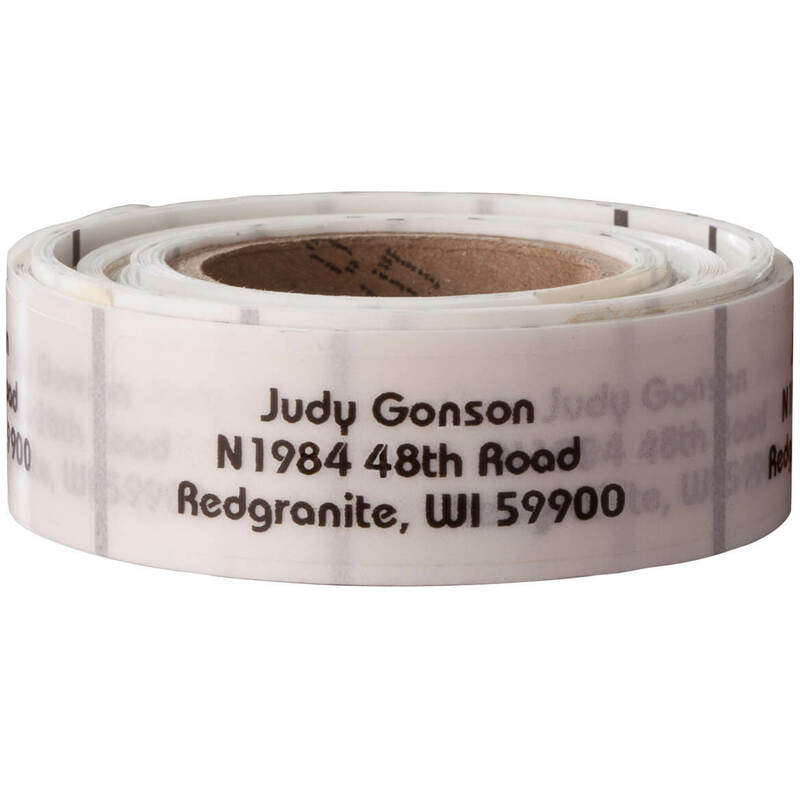 If there are 5 lines for address labels should I enter in lines 1-3 or 2-4 to be sure they are centered on the label? I entered the my information on the first, second and third lines and they centered it for me.